Roseville Acupuncture | Gregory Brown, L.Ac. Did you know that acupuncture can be effective in the treatment of a wide variety of health problems? Gregory Brown, L. 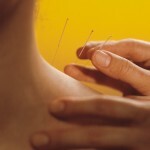 Ac., wants to show you how acupuncture can assist you in your health care needs. Gregory has been in practice since 1990, serving the Roseville, Auburn/Folsom, and greater Sacramento region. Roseville Acupuncture is a full service acupuncture practice, specializing in pain management, seasonal disorders, digestive disorders, and women’s health issues. We treat patients ranging in age from 15 years old to senior citizens. The office accepts many types of insurance coverage, and treats patients for worker’s compensation and personal injury care. Please contact the office for specific information regarding your coverage. Gregory promises to listen closely to your concerns and give you an honest opinion on whether acupuncture can be helpful for your health related issues. To schedule an appointment, please call (916) 784-2727. Here are some good ideas to remember before your appointment. Acupuncturists in California undertake four years of extensive and comprehensive graduate training at a nationally certified school. All California acupuncturists must pass a licensing exam, complete 50 hours of continuing education every two years, and meet strict guidelines to practice in the state. Acupuncture is extremely safe. 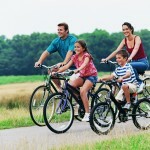 It is an all-natural, drug-free therapy, yielding feelings of relaxation and well-being. There is little danger of infection from acupuncture needles because they are sterile, used once, and then discarded. Before treatment, Gregory will address any concerns you may have. Save Time! Click here to fill out New Patient Forms securely online.